do not contain a foaming agent, fragrance, colorants, preservatives, and synthetic surfactants. 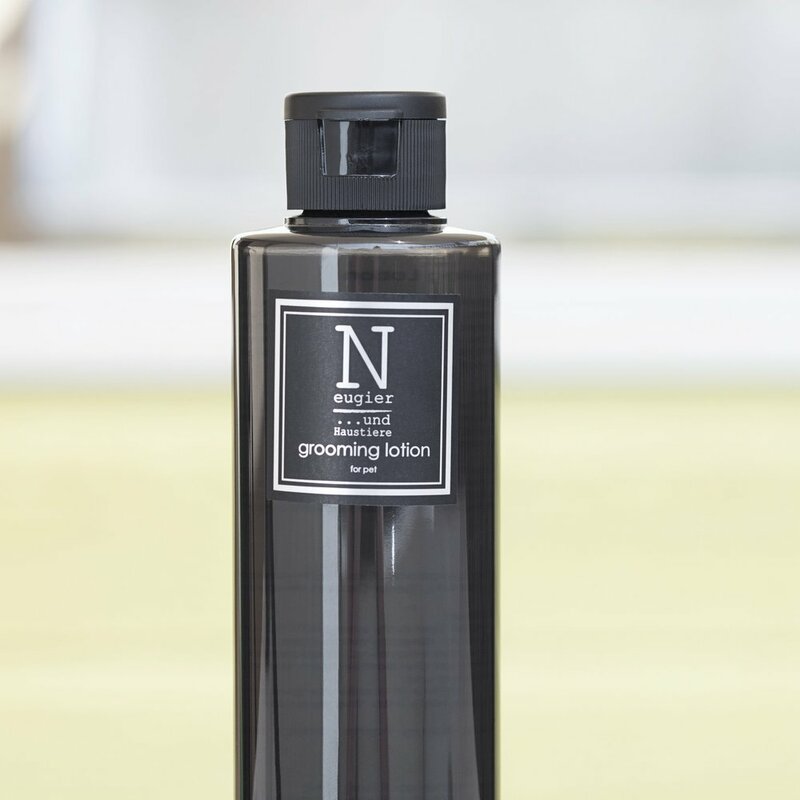 The active ingredients in Neugier Grooming Products are ultrafine protein enzymes. These ultrafine enzymes are between 1 - 10 nanometers in size and are activated by warm temperature to dissolve and break down the oil, dirt, and debris. Natural enzymes are gentle on the skin and help to heal allergic dermatitis, yeast dermatitis caused by an overgrowth of Malassezia, excessive dandruff, and other skin issues due to aging.